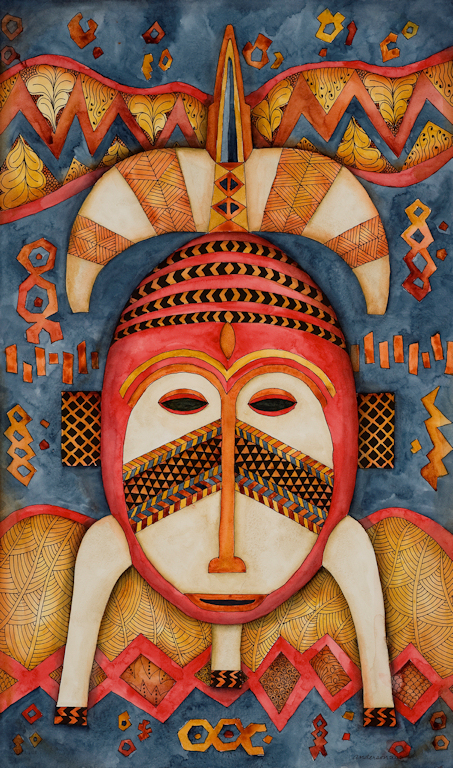 This is a companion piece to African Mask I. #1 is the masculine version and #2 is the feminine version. (C) Copyright Karin Michele Anderson, 2013. All rights reserved.